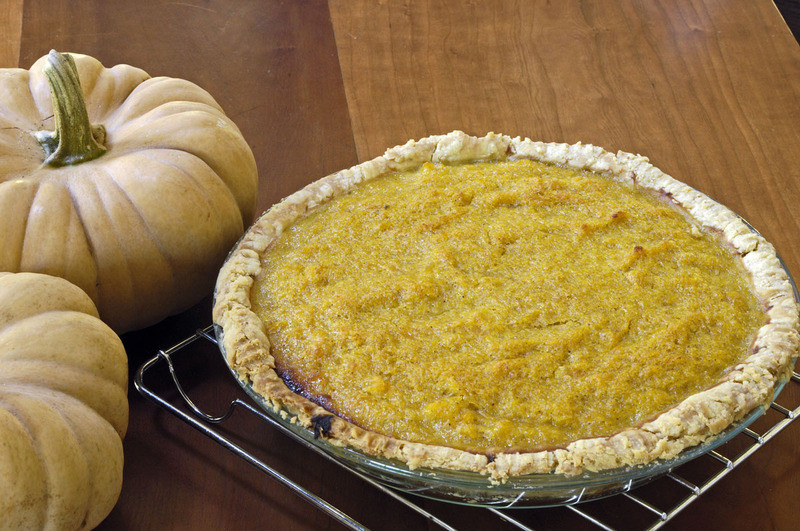 What’s remarkable, though, is that the pumpkin I used for this pie was just over one year old. I was hoarding the last of the little pumpkins from the 2017 pumpkin crop, which was much smaller than the 2018 pumpkin crop, which is now stored under the stairs for the winter. But it wasn’t just hoarding. I also was experimenting, to find out whether the last of last year’s pumpkins was as well-preserved as it looked. It was. When I cut it in half before baking it, it looked as fresh inside as a new pumpkin. 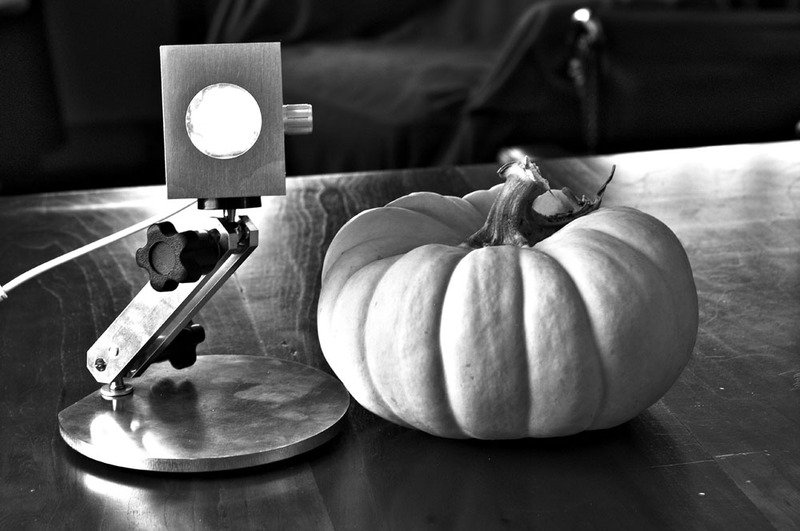 I have previously blogged about these amazing little heirloom pumpkins here. The little pumpkin that finally met its end today in the kitchen is the little pumpkin that I used as a photo prop last winter. One of its portraits, shot in December 2017, is below. I gave its seeds to the chickens. This was written by daltoni. Posted on Sunday, October 28, 2018, at 5:42 pm. Filed under Food. Bookmark the permalink. Follow comments here with the RSS feed. Trackbacks are closed, but you can post a comment. Well, you do not mention how it tasted. Did you use some type of sugar, if so what kind? Recently my wife has changed to coconut sugar I use it with a cauliflower recipe. No difference in taste to me, and allegedly healthier. Hi Henry… The pie was great! Still is, actually, since most of it is still left. 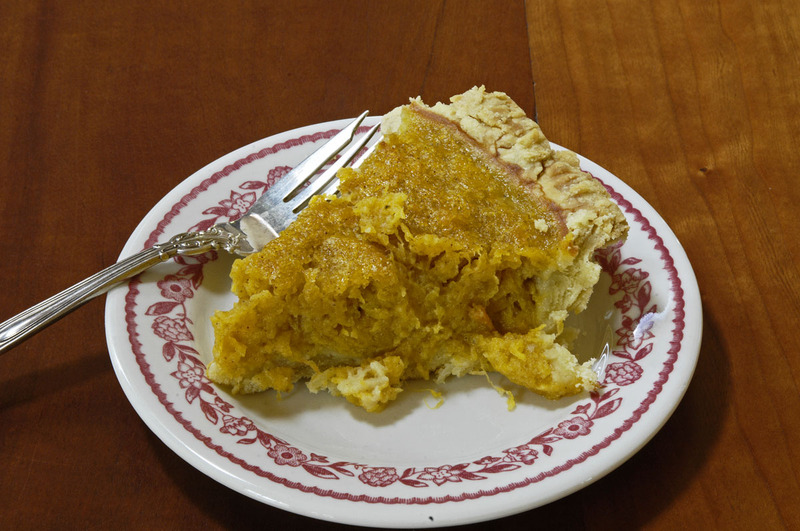 I try to keep sugar consumption low, but I confess that I used 3/4 cup of organic sugar in this pie.